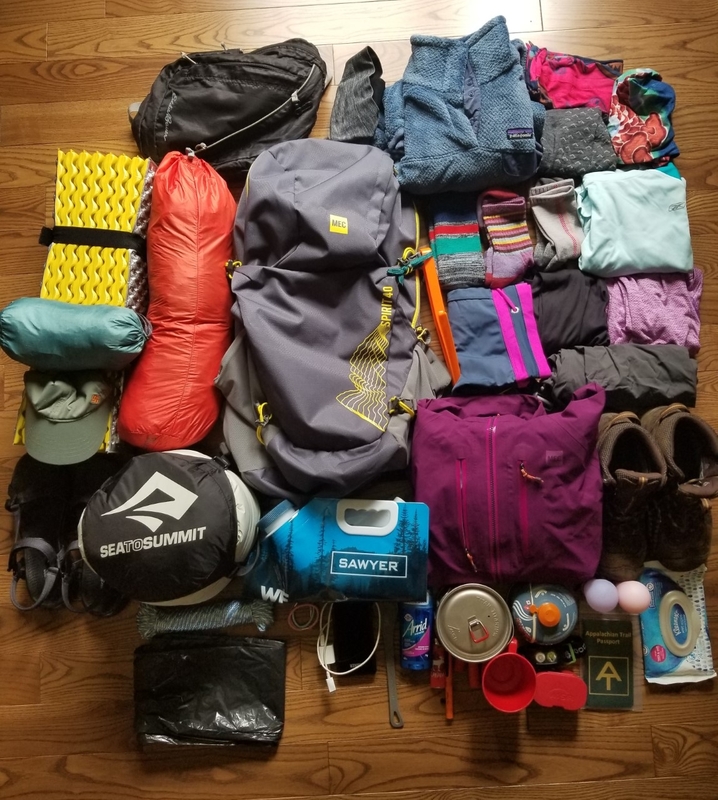 Clothes: Free-Country shorts, Eddie Bauer hiking pants, a Reebok blue long-sleeve, a purple Legend T-shirt, a New Balance black tank, Patagonia blue fleece, a green Eddie Bauer vest, and three Buffs. I miss my closet already. Kitchen: MSR Pocket Rocket, MSR Ultralight Titanium Kettle, Sea to Summit long handle spoon, a Second Cup plastic thing for coffee and whatever plus two lighters. You are doing well ! After I saw the picture I thought your base weight would be much higher….Best of luck and good fortune on your journey ! Congrats on the decision to go for it!! Just gotta say your bio made me laugh about job. That’s one reason I’ve been a hike as well. Only difference is I’m 45 and broke and trying to figure out life (again). Somehow I haven’t come across anything I need ha, amazing right? Thanks though! I’ve already read that your pack was Poetized at Shaws, seeing this photo I can see what he faced. Yeah, I’m reading this post last. I love how you don’t pull any punches in describing your days, keep up the spirit and you must be dealing with Vermud pretty darned soon… Don’t fall in the mud!